Can Varicose Veins Cause Blood Clots? Varicose veins (e.g. tangled, swollen blood vessels visible beneath the skin’s surface) are not simply a cosmetic issue. Sometimes they can have negative health implications, too. 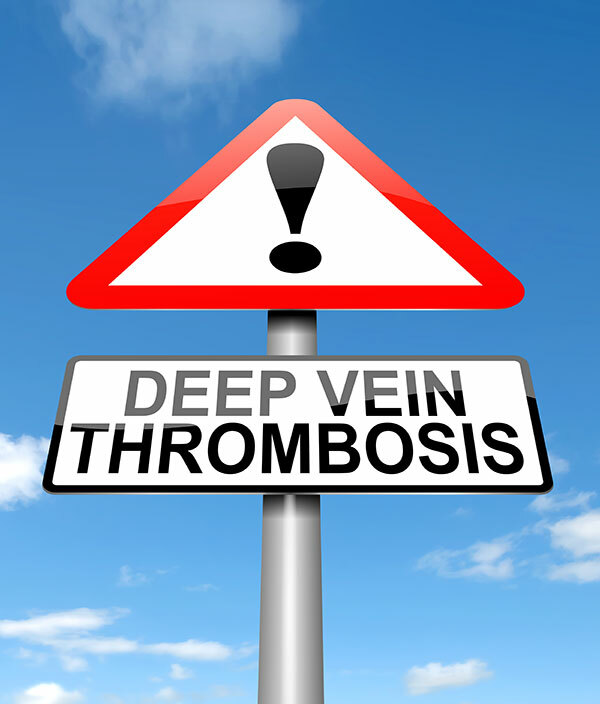 But can a varicose vein really cause a blood clot? Varicose veins are caused when the tiny valves in the vein that push blood along begin to weaken, leak and flow backward into the vein, instead of to the heart. Blood must keep moving to remain fluid. Anything that slows blood flow through the arms and legs can set the stage for a blood clot to form. If the body mistakes a varicose vein’s weakened walls for an injury, a blood clot could form. A clot naturally occurs when the blood’s protein and platelets coagulate at a point of injury to prevent too much bleeding. Blood clots could travel to the heart or lungs and block blood flow, causing a dangerous problem called pulmonary embolism. However, this type of traveling clot usually results from a clot in the deeper venous system. 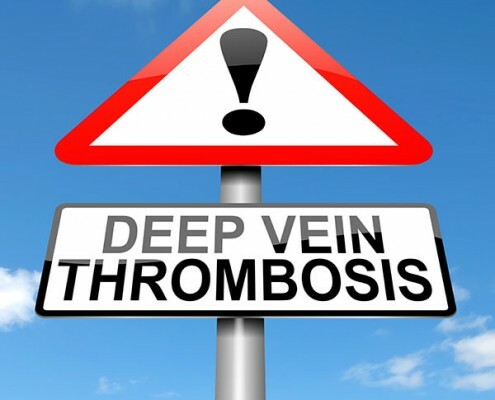 A condition called Deep Vein Thrombosis (DVT) is usually caused from a clot formed in a deeper vein due to injury or another medical condition. Superficial varicose veins and blood clots are both hereditary conditions; however, prevention is key. You can help prevent each by exercising on a regular basis. Exercise increases circulation and strengthens the tissue supporting your veins. Move your legs often, stay hydrated and ask your doctor about medication or other treatments if you, or one of your limbs, will be immobilized for a while. If you have leg pain and are looking for varicose vein removal options, varicose vein surgery, or are concerned about deep vein thrombosis, contact Lakeshore Veins today. Our vein doctor has more than 20 years of experience and knows how to create a personalized treatment plan to treat your leg pain or deep vein thrombosis. Our comfortable, healing atmosphere offers compassionate and quality patient care in an outpatient setting if you need varicose vein surgery. Visit our varicose vein removal center. Relief may only be a simple procedure away. Call (262) 241-3999 or Contact Us Online to set up a consultation for your leg pain today.